The adapter has an external 4 dBi omni-directional antenna that delivers stronger signal penetration strength and wider wireless coverage than its standard counterparts. The antenna can be adjusted 360 degrees to get the best signal reception. 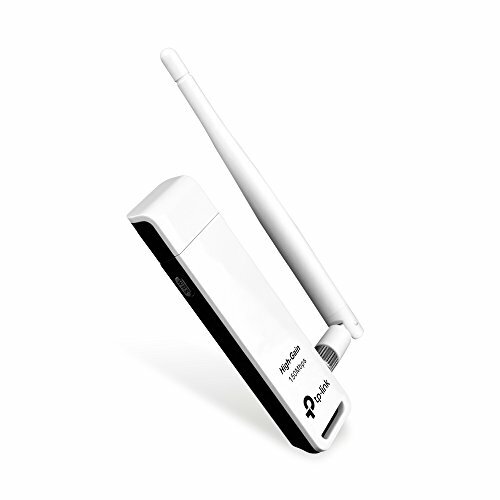 The TL-WN722N complies with wireless 802.11 b/g/n standards and transmits data at up to 150Mbps. It adopts the Clear Channel Assessment (CCA) technologies to provide better wireless performance and stability than previous generations. The adapter supports WEP, WPA/WPA2, and WPA-PSK/WPA2-PSK encryptions.